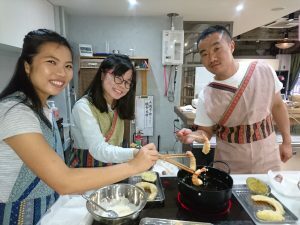 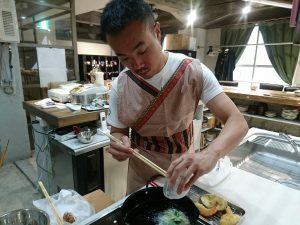 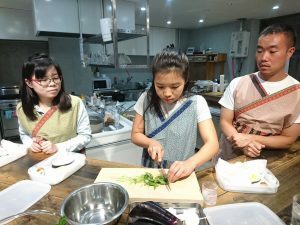 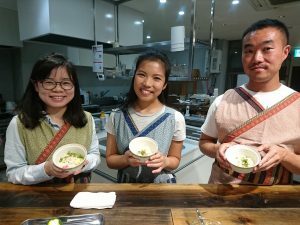 Three guests from HK, Singapore and the USA participated in the Airbnb tempura class. 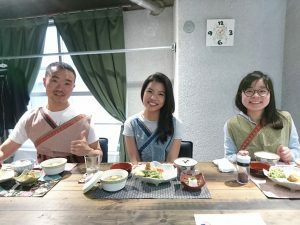 They love Japanese food. 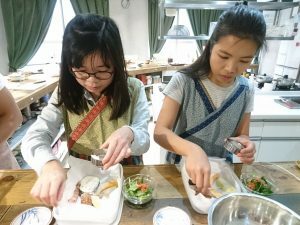 Through Tempura cooking experiences, they learned the secret of Japanese cuisine!